Could you plot the area of a sphere covered by an electronic signal beamed from a distant moving source? Do you need to determine the amount of lumber required to construct a 30-foot cyclorama and cove curved horizontally and vertically so that light refracts rather than reflects? Who can demonstrate the use of active voice, pacing, pathos or ethos? Who might be able to demonstrate use of light, composition, tempo, timbre, frequency or color correction? Then of course there are pixel widths of pages, compression codices, baud rates, download speeds, bandwidths and mobile devices. You might contact a physicist, an engineer, a mathematician, a computer technologist, a writer, an artist or a musician. However, if you prefer one stop shopping you might visit any number of high school multimedia classrooms across the country and ask a media student. Better still ask them to show you. Multimedia communications is the 21st Century Literacy. If you think that is a bold statement, search O*net online. More than 230 careers require multimedia skills. Nearly one third of them have higher than average growth expectations. Reading the news is both an art and science. by fostering engagement, application and creativity. Contrary to popular belief digital tools do not destroy reading and writing. They do change the ecology of reading and writing. Kids today are reading and writing more than ever. They just aren’t doing it sitting in their bedrooms with a novel. They constantly collaborate, communicate, listen, watch, create and generally consume things they believe valuable and relevant. Refusing to accept the fact that today’s students do not function as we did is at best tragic. Students today function differently. Their world has changed dramatically. Educational systems and pedagogy have not. Institutional fear of embracing and managing change has alienated an entire generation of learners. They no longer believe what they learn in school has relevance to their future. The resulting disconnection caused by our reliance on yesterday’s inflexible failing systems and pedagogy is effectively robbing our students of their future by continuing to prepare them for a world and careers that no longer exist. Our “always on” technology-driven society has evolved from a linear industrial manufacturing model with everything in its prescribed place. Now everything everywhere connects, impacts and intertwines with everything else and each added nuance influences everything once again. The swirling vortex of readily accessible information has spawned a lack of certainty and conformity that is impossible to manage with linear systems. Rote memorization has become irrelevant in a world where information is universally available in seconds. Learning is no longer time and place dependent. The teacher and textbook aren’t always right. There is no longer just one right answer. The answer is no longer at the end of the book and collaboration is now the normal means of arriving at a solution. He further suggests, “The ability to navigate in a buzz of confusion and to figure out how to trust the information that you find and feel confident about it” makes the world yours. Embracing change and using ubiquitous information navigation and creation tools radically alter the learning landscape. So how do multimedia tools impact student lives and achievement? Quite simply, they add relevance. Relevance leads to engagement that fosters practice. Practice encourages mastery, innovation and collaboration. Implementation and publication invite reflection and comment. Essentially students become part scientist, technologist, engineer, mathematician, researcher, communicator, creator and artist utilizing tools that are part of their sociological and technological DNA. • Access, aggregate, assimilate, filter, distribute and respond to more information than has ever been accessible. They must also do it faster, more efficiently and more accurately than their predecessors. 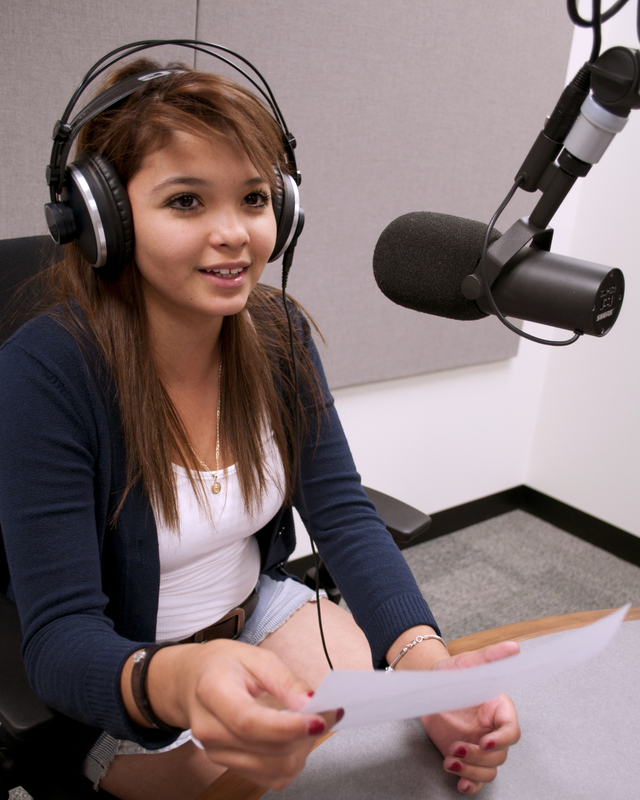 Student grammar scores in the Cronkite School’s 10 Stardust multimedia journalism programs annually increase by 7-15% across the board. Historically, 100% of the students in the programs graduate from high school and more than 95% of them go on to post-secondary studies. Two years ago Cartwright Elementary School District began a multimedia journalism program for its middle schools. The very first semester language usage scores in all areas improved by 30% for students in the program. During the last year of my tenure at Arcadia High School in Scottsdale, Ariz., my students won more than 50 state or regional awards and 16 national awards. In addition, the seniors in the media communications program earned more than $1.25 million in merit scholarships. Today those students are flourishing at their schools of choice studying medicine, engineering, law, business, media and journalism. Many admission committees at prestigious universities indicated that their media technology skill sets influenced their decisions. It is also interesting to note that my 6-year tenure at Arcadia has already produced 77 multimedia industry professionals. In addition, more than 100 students are still preparing for multimedia-related careers at post-secondary institutions across the country. While many students in multimedia programs pursue media related professions it is important to note that an even larger number are thriving in careers that traditionally were not media oriented. Those careers and businesses have changed to incorporate and encourage if not require the ability to write, manage information electronically, create, collaborate and produce in imaginative ways using multimedia tools. In fact the most commonly listed across the board international 21st Century survival skills appear remarkably similar to the skills developed in the multimedia classroom.